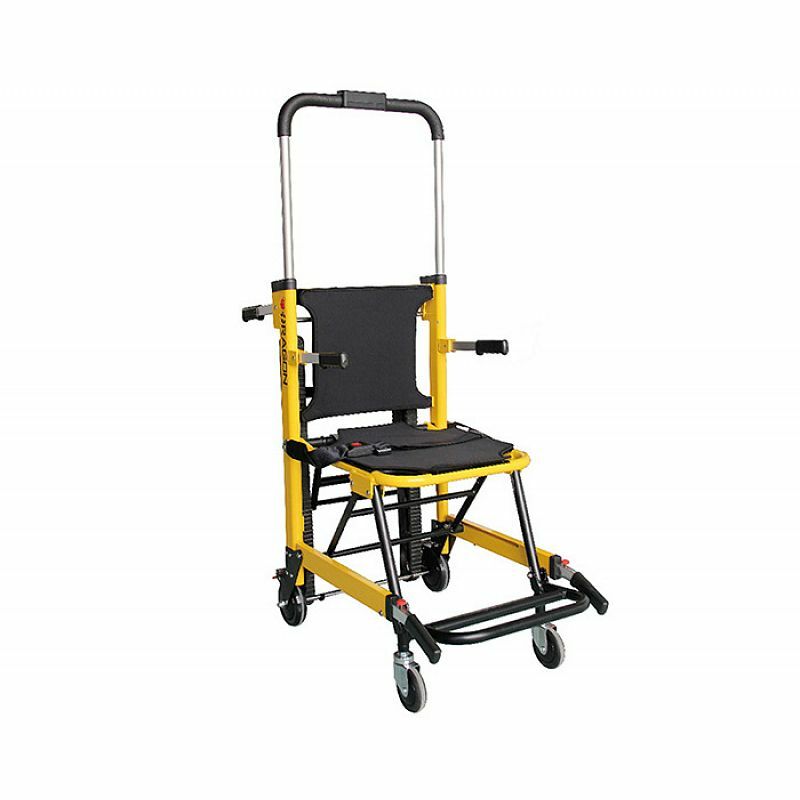 The fire rescue evacuation chair weights 17kg and is capable of allowing an individual to assist someone up to 180 kg (400 lbs) safely down the stairs with a fast speed. 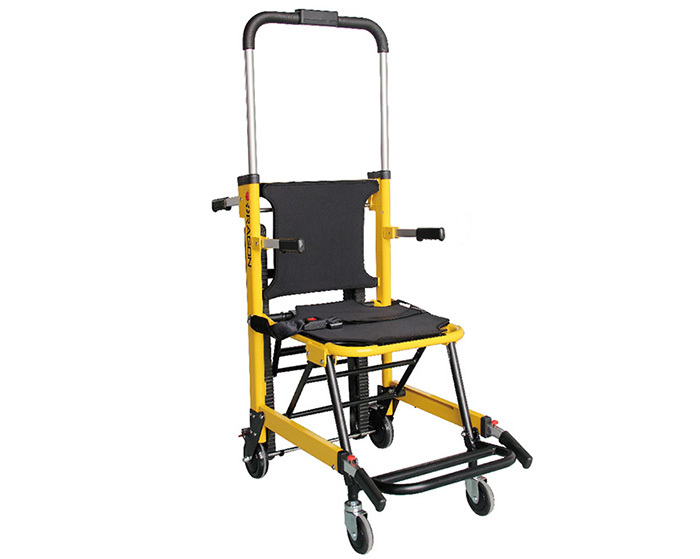 1.Stair glide chair is mainly used for high building's lift carrying patients and wounded person. 2.The structure can be folded and the stretcher structure could get smaller. 3.It is with four wheels. 4.The back of the stretcher designed with two folded handles. 5.Under the front of the stretcher with two flexible uplift rod. 6.The stretcher is with two pieces of belts to approve the patient's safety during transport process. 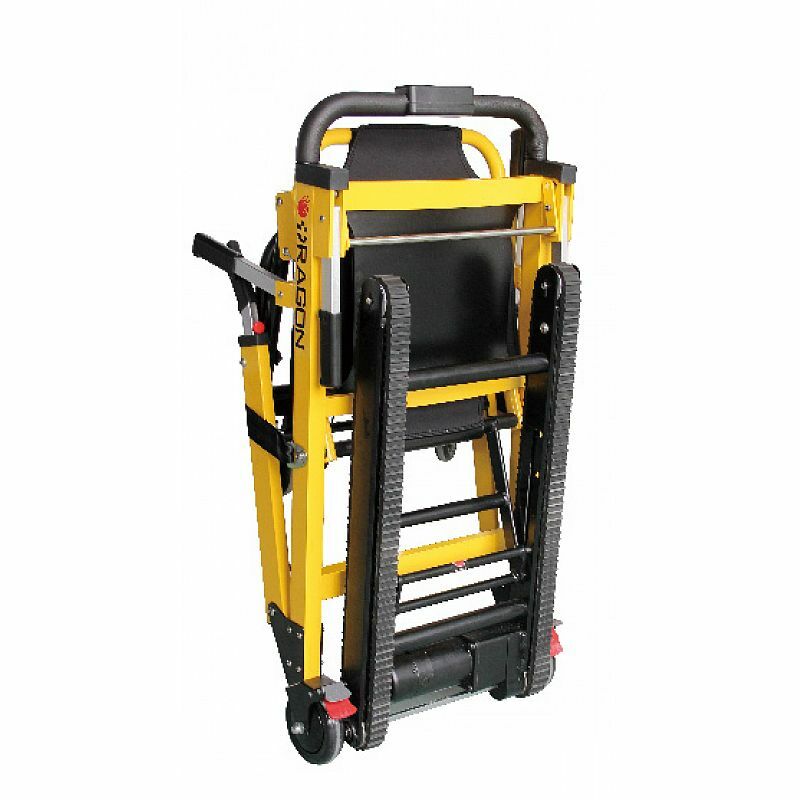 7.It is made of high-strength aluminum alloy materials. It is characterized by its being light-weight, small-sized, easy-carried, use-safely and easy for sterilization and clean.